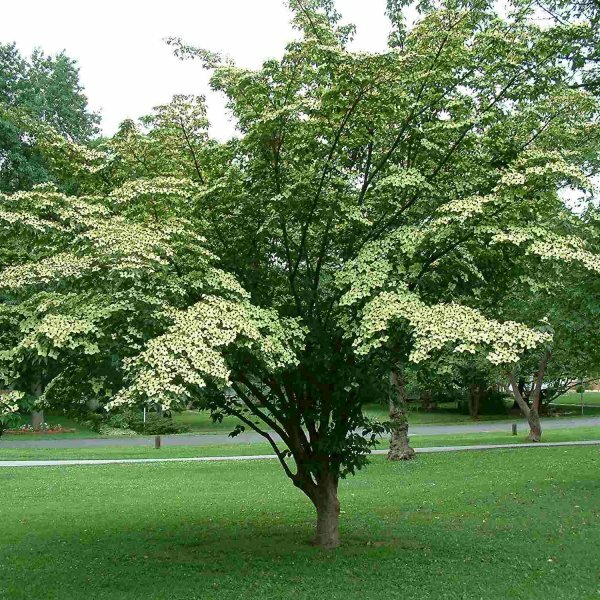 Native to China, Korea and Japan, kousa dogwood is a small, deciduous tree with a beautifully spreading, gently rounded canopy. 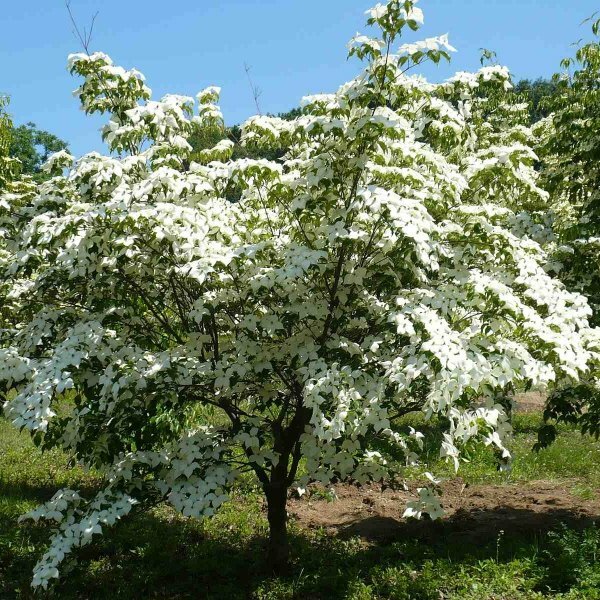 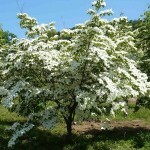 It is highly desirable for both its outstanding ornamental qualities and resistance to dogwood anthracnose, a fungal disease which can trouble the flowering dogwood of eastern North America. The branches of kousa dogwood are held in broad, horizontally layered tiers, giving it an elegant appearance even in the cold months of winter. 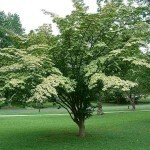 Its attractive bark is mottled in shades of tan, gray and brown. In late spring, clouds of large, white flowers shine against a background of deep green, pointed, oval-shaped foliage. 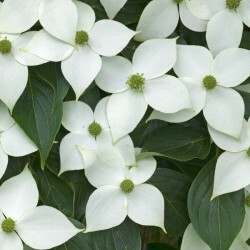 The blossoms are composed of four showy bracts which surround a central cluster small, less conspicuous green flowers. 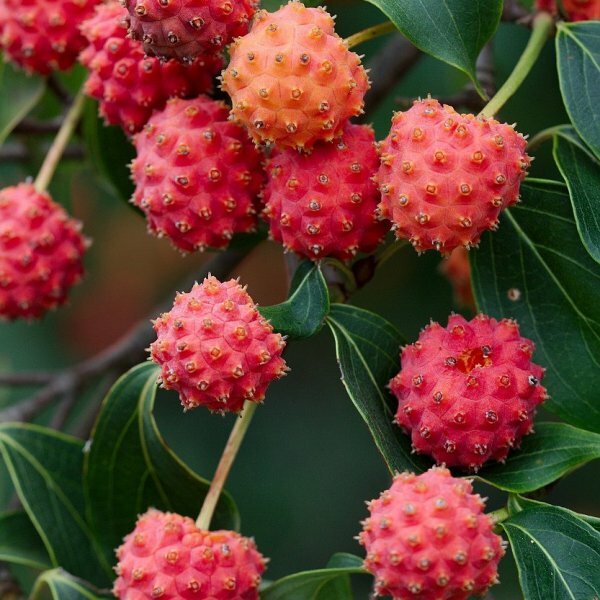 These are followed by distinctive, round, red fruits which ripen in autumn, and are edible to both birds and humans. 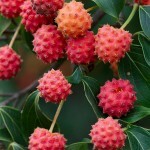 The leaves develop appealing shades of purple and red in fall.